Imbolc, (EM-bowlk) is a Gaelic term meaning ‘in the belly’. This is the time of year when Mother Earth celebrates life by nudging awake the frozen seeds slumbering within her belly under the barren soil. She whispers softly to them to wake and ready themselves for the coming spring. 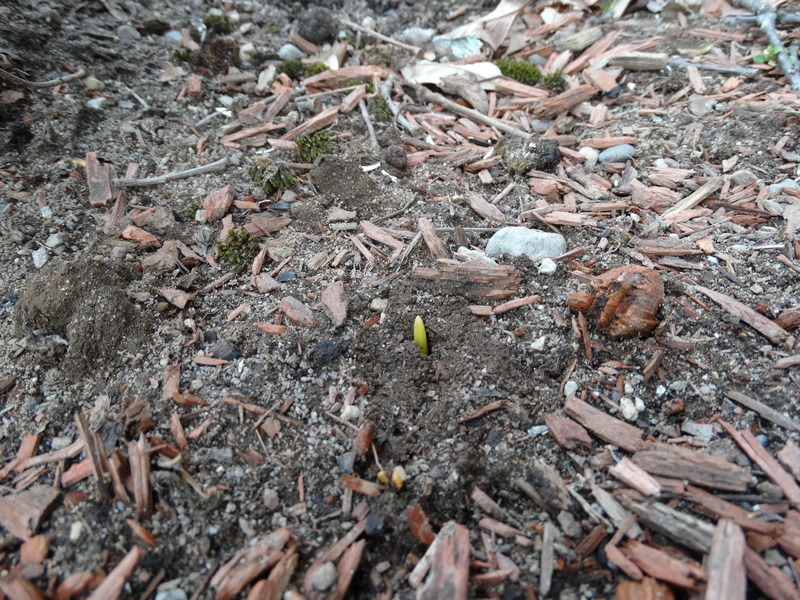 This time in 2016 my bulbs were waking, breaking through the ground and peeking their tips into the sunshine. This year, no tender shoots. Just a blanket of white. 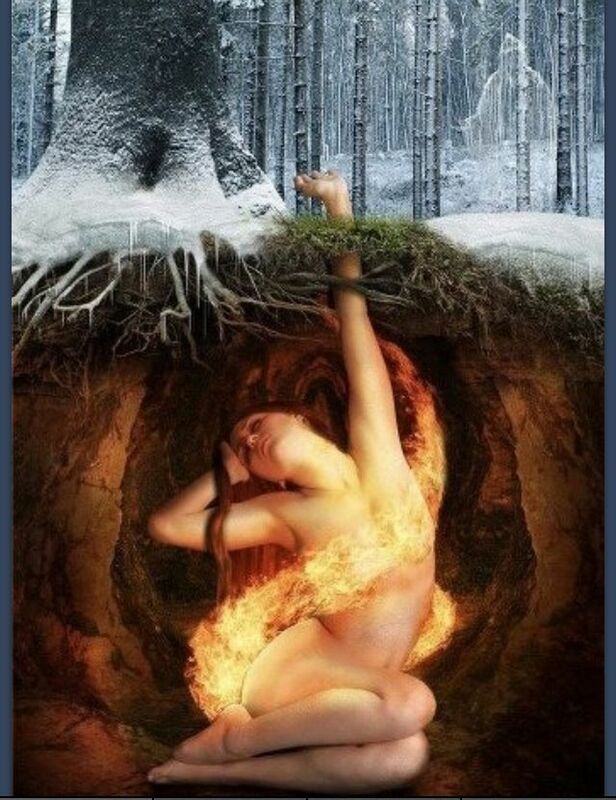 Ancient Celts, Druids, and other pagans, celebrated Imbolc as the beginning to the season of spring–a time when winter began to wane and life returned to the sparse lands. I should mention the term pagan comes from the Latin word paganus, which means ‘rustic’ and ‘country dweller.’ It has nothing to do with religion. Imbolc is also referred to as Oimealg (IM-mol’g), meaning ‘ewe’s milk’, as this was the time of year when herd animals would give birth and their milk would flow. Imbolc starts at sundown on February 1 and lasts into February 2, Brigid’s Day (pronounced Breed’s Day), named for the goddess Imbolc honors. Brigid would call forth snakes from the earth to test the weather. If the snakes could survive then it was warm enough for her to awaken the young plants. Snakes. 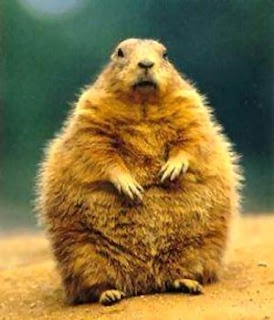 Groundhogs. You say ‘toe-may-toe’, I say ‘toe-mah-toe’–it’s all the same. 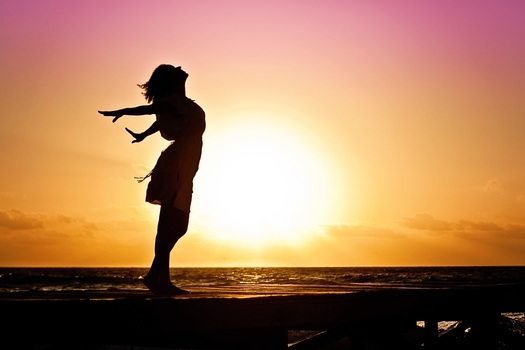 According to Celtic lore, Brigid, a goddess of the sun, wells and springs, was born at daybreak then rose into the sky as the sun’s fiery rays streamed from her head, thus portrayed by her long, flame-red hair. As an infant the goddess was fed the milk from a white sacred cow, giving her the power to bring life wherever she walked. It is believed small flowers and shamrocks sprouted after Brigid passed by. 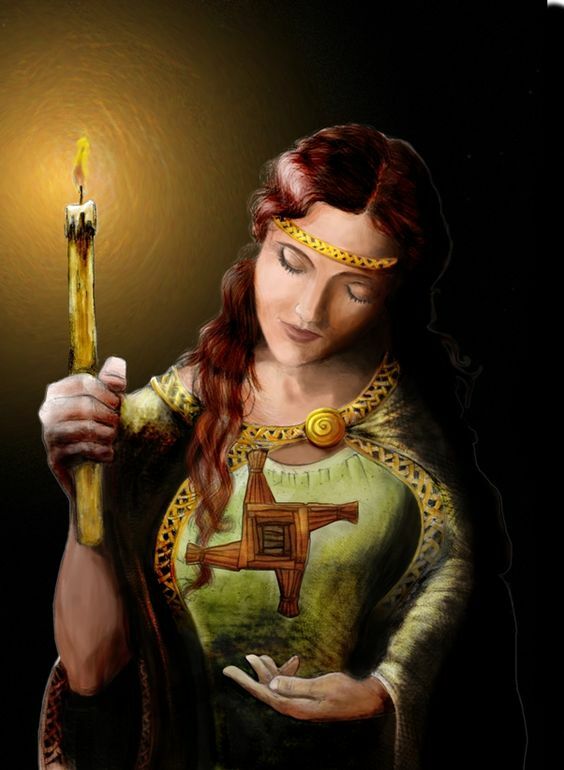 As a way of welcoming the return of the sun, at sundown, a celebration of Imbolc includes the lighting of white candles in each room of the house Next an offering of food is made in the name of Brigid. Since I’m still recuperating from my hysterectomy, I can’t shop for corn for the ducks. No problem. I gave them dried bread. Begging ducks can’t be choosy ducks and I’m sure Brigid didn’t mind. …and some changes bring new beauty. In 2016 a Wood duck visited. 2017, two Pintails came a-callin’. 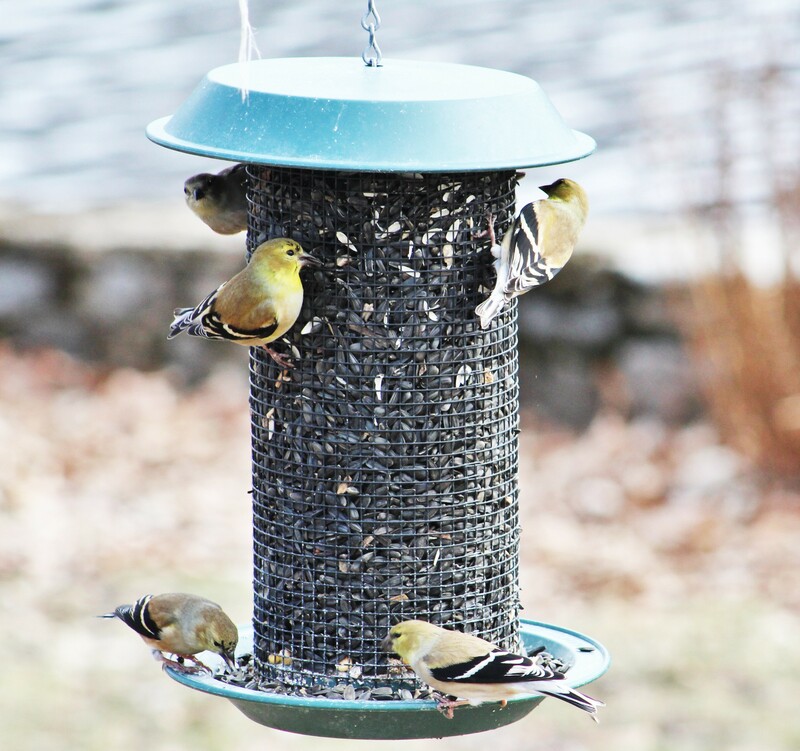 Oh, and the American goldfinches have started molting! You guys need to slow down a bit. In closing, may Brigid bless the threshold of your home; May she keep your hearth warm and your belly full; May she grant you wisdom and peace; May she guide your way; And may she light your world with the beauty of flowers, birds, and love. 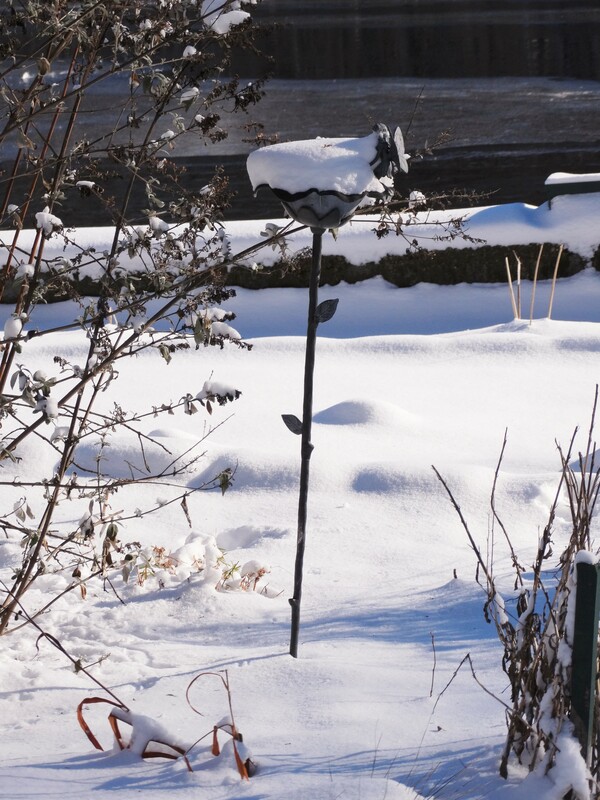 Gallery | This entry was posted in Life on the Concord River and tagged animal blog, blog about birds, blog about ducks, blog about imbolc, blog about mother nature, Brigid's Day, celtic imbolc, Celtic lore, imbolc 2017, Imbolc celebration, life on a river, life on the concord river, living on the Concord River, Mallard, mallard ducks, meaning of pagen, Mother Earth and Imbolc, natural history blog, nature blog, read about nature, riverlady, single woman living on a river, St. Brigid, stories about living on a river, stories about living on the Concord River, video about ducks, wildlife blog. Bookmark the permalink. 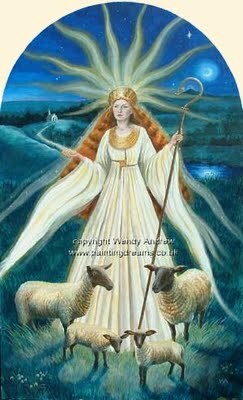 2 Responses to Imbolc 2017, Brigid’s Day. I work from home; Over my desk are pictures of the River. It needs no name . Some are mine from before. There is the mulberry tree, at the corner of the wall, there are my daylilies and the green Adirondack chair. Here is a duck and her babies on some mission across the back yard in front of your lovely raised garden. Florida is not my place. and I am homesick. I dream of snow and fat white pines and forest , and always the river.